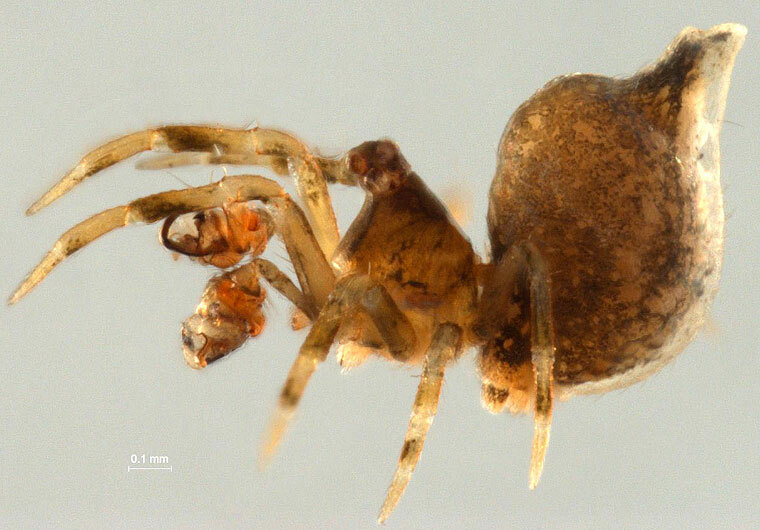 Mysmenids are minute 3-clawed spiders, body length up to 2mm, found in moist litter and moss in tropical rainforest, swamp, temperate rainforest and wet eucalyptus forest. Their distribution is world wide and they will probably be found everywhere in Australia and offshore islands where there is suitable habitat. The carapace is variable in shape, more or less circular and more or less squared at the front. They have 8 eyes. The abdomen is broadly oval with high sides. The spinnerets are often set well back from the end of abdomen. Leg III is usually shortest, and all tarsi, or final leg segments, are usually about twice as long as metatarsi, the second last leg segments. Most males have a spur on the shin, or tibial segment of Leg I, or on a lower segment, or both. 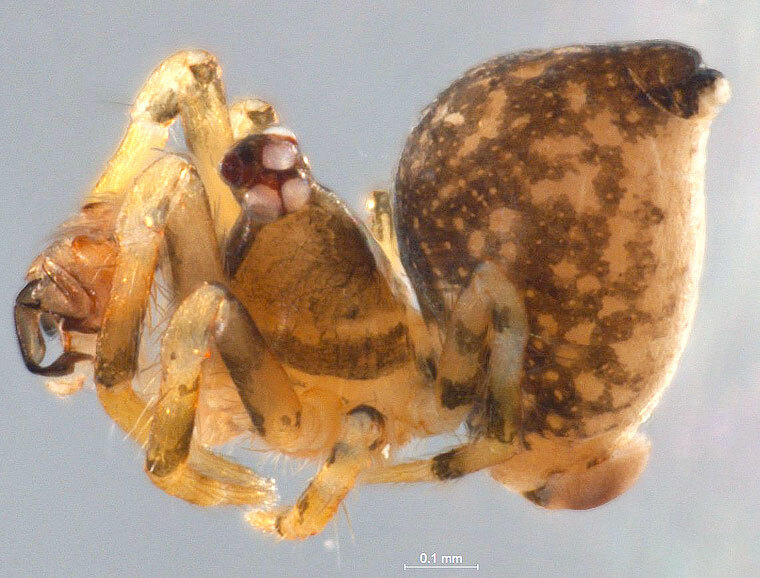 They differ from similar small spiders in the Anapidae and Micropholcommatidae by lacking the clamshell appearance of the abdomen due to scutes, or obvious hardened material around the abdomen's sides between the upper and lower sections. Some build orb webs, either 3 dimensional or roughly in a plane, while some live in the webs of other spiders as kleptoparasites.